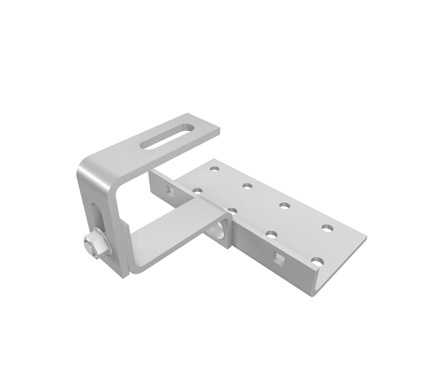 The solar rail fixing bracket offers a full double adjustable height for those pan tile style roofs that require individual adjustments in between fixing spacing points. K2 Vario 2 bracket is a pan tiled solar roof hook part that allows 2 adjustments to match peaks and troughs on the roof. Sold individually or in boxes of 25 brackets, these prices are discountable on the amounts purchased. Construct the rail structure assembly using these parts.